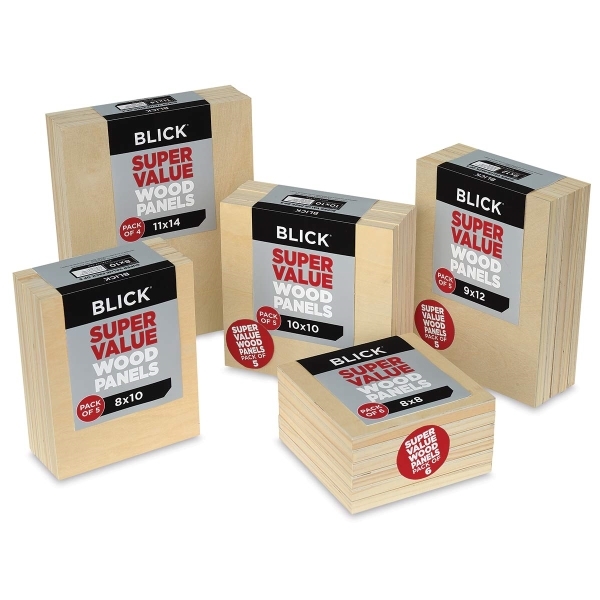 Budget-friendly Blick Super Value Wood Panel Packs are available in a range of popular sizes. 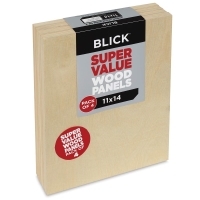 The panels feature a smooth, hand-sanded 4 mm birch surface and are supported by a sturdy pine cradle. They have a 3/4" profile and can be hung with or without a frame. Use the cradled wood panels for painting (including thick, heavy applications and palette knife work), encaustic, mixed media, and more. 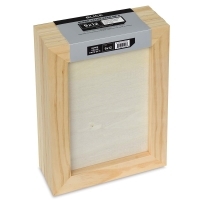 They can also be used for craft projects such as shadow boxes, frames, and trays.